The providers of medical staffing in Upper Darby, PA can benefit you in a wide range of ways. If you are looking for work as a nurse or as a healthcare provider, our services can make your search much easier. Rather than dealing with numerous clinics, hospitals, and home care agencies that may turn you down, we will handle this process for you. This can remove the stress from job searching and ensure that you can get the job of your dreams. One of the main benefits of these services is the fact that it will help you find work faster. This is because we have many connections in the healthcare industry. If there is an open position that is suitable for your skills and experience, we will have you fill it. This means you do not have to go to different organizations only to get turned down time and time again. Our services remove this step, allowing you to find the job you want much faster and without the hassle. 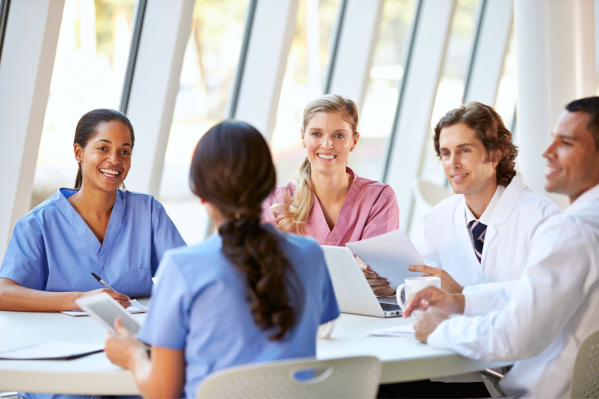 When you do not have much experience as a healthcare provider, it can be very challenging to find good work because organizations would rather hire people who are experienced. However, even if you are inexperienced, we can help you find a position that not only provides good pay but can also help you build experience. It may not be the job you wanted at first but it will be a stepping stone. Through our services, we can help you find a variety of different healthcare jobs. This is not only a good way to try out different work but it will also expand your skill and help you gain experience in different aspects of healthcare. Those are just a few of the many factors that you will want to keep in mind when it comes down to finding work in the healthcare industry. If you would like to find out more about this or about how we can help you, please feel free to contact ATC Healthcare Services for more information anytime. This entry was posted in Medical Staffing and tagged Healthcare Industry, Healthcare Provider, healthcare staffing, Medical Staffing. Bookmark the permalink.